Cool atmosphere, or at least with an epic view of the harbour. For travelers of our generation, Hong Kong will forever be a mesmerizing city with endless options for dining and cocktail-ing. The list keeps changing as new spots open up, while certain institutions continue their longevity marks. For many, Lan Kwai Fong’s touristy bars will suffice. But I found them to be quite ordinary, almost cheesy. If you want an authentic and cool atmosphere, head to Sheung Wan or Tai Kwun for hip crowds and drinks. Here were the top bars that I thought had far more character or at least offer an epic view of the harbour. Already, The Pottinger Hotel is a popular trendsetter among the plethora of hotels in Hong Kong. Its sophisticated bar, The Envoy, is a gathering of posh expats and locals who are also globetrotters. Get their truffle fries to accompany tasty cocktails that you can sip and munch on the stylish outdoor patio. Sitting above Kowloon, aqua is arguably Hong Kong’s most breathtaking restaurant/bar. It welcomes you with a panoramic view of the Victoria Harbour from above. Lights, camera, city action! Check out the wine list, it is quite impressive. Already, Tai Kwun is where you want to be. The former police station transformed into a cultural art center is the most trendy hotspot in Hong Kong with plenty of options to drink and dine. 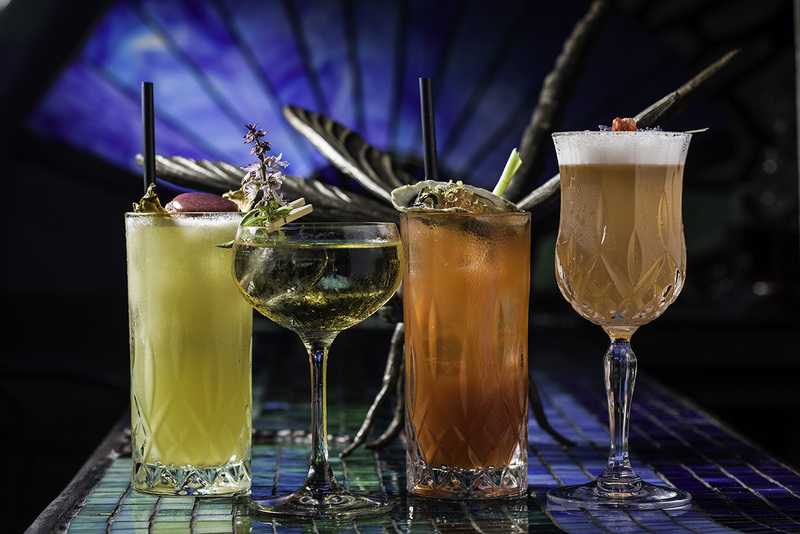 Dragonfly is a boutique cocktail bar, which honors American painter and blown glass artist – Louis Tiffany. This is magnificent gem featuring cocktails with funky names, including: Salad Imposter, Yum Cha with Mr. Tang, and The Responsible Choice. 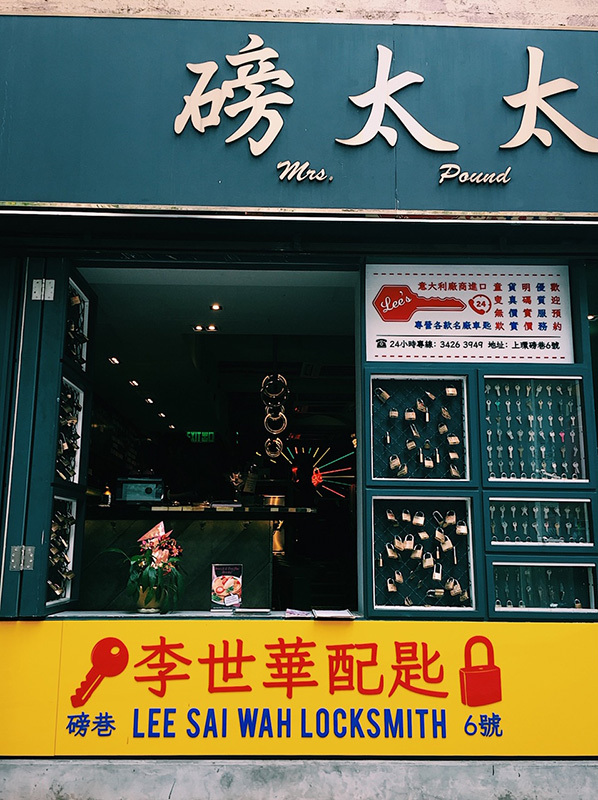 When you walk around the ever-so-charming Sheung Wan district, you’ll come across a lock shop with a banner that says: Mrs. Pound. Once entering its doors, you’ll quickly realize this isn’t a place to get your keys made. Mrs. Pound is, in fact, a speakeasy bar. What a fun and casual place – quirkily masked. 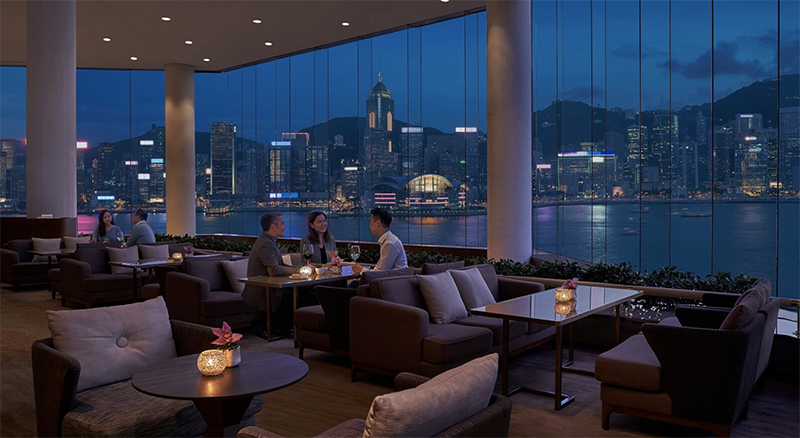 If you want to enjoy a drink with kids by your side while gazing at the gorgeous Victoria Harbour view, the best place to go would be Intercontinental Hotel. Its Lobby Lounge often features live music, and there will be many families sitting around with cocktails and beers. I highly recommend ordering the banana split on the menu, it’s literally the length of my entire arm! Also perfect for the whole family to dive right in.